Cassie has been with the Viren Team since the beginning of 2013. She started as the Administrative Assistant at the front desk and moved into the role of Client Services Associate in the fall of 2014. Since then, she has worked hard to complete the training and testing required to become securities registered. Cassie is now an LPL Registered Administrative Associate. She works closely with Paul and Mike assisting with various service needs. This includes participating in client meetings, helping to manage the administration of client portfolios, and a variety of additional projects as needed. She also manages compliance and helps to maintain the electronic filing system for the company. 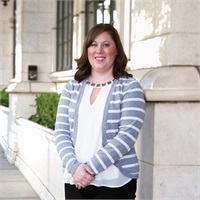 Cassie is FINRA registered with her Series 6, 7, and 63 registrations through LPL Financial and her Series 66 registration through LPL Financial and Viren and Associates and has also earned her Life & Health Insurance License in Washington State. Cassie grew up in Spokane and, after graduating from Central Valley High School, earned her bachelor’s degree from the University of Idaho – GO VANDALS! She, along with her husband, stays busy working full-time and raising two rambunctious little girls (born in 2014 and 2017). Cassie thoroughly enjoys being a wife and a mommy!